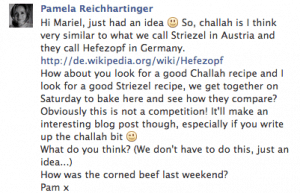 Let me tell the “real story” of the Challah versus Striezel bake-off with Pam. Pam started baking. She got really into it very quick. She is talking about baking all the time and when we get together with friends she often brings bread. I think great. 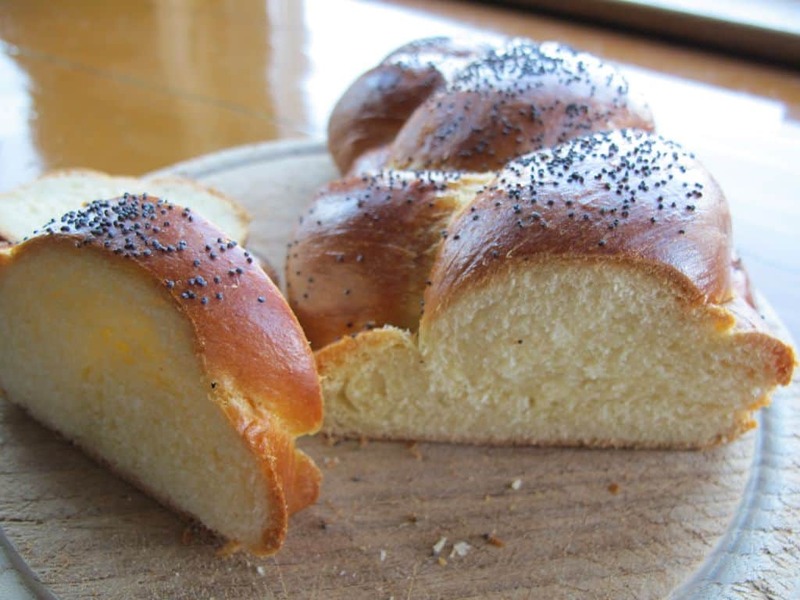 I can get Pam to easily bake me some challah and she will like it as it will be a new and interesting bread for her to bake and in turn I will get me some challah. Finally Pam says, “Mariel come over and we can make challah together.” Hmmm I think. 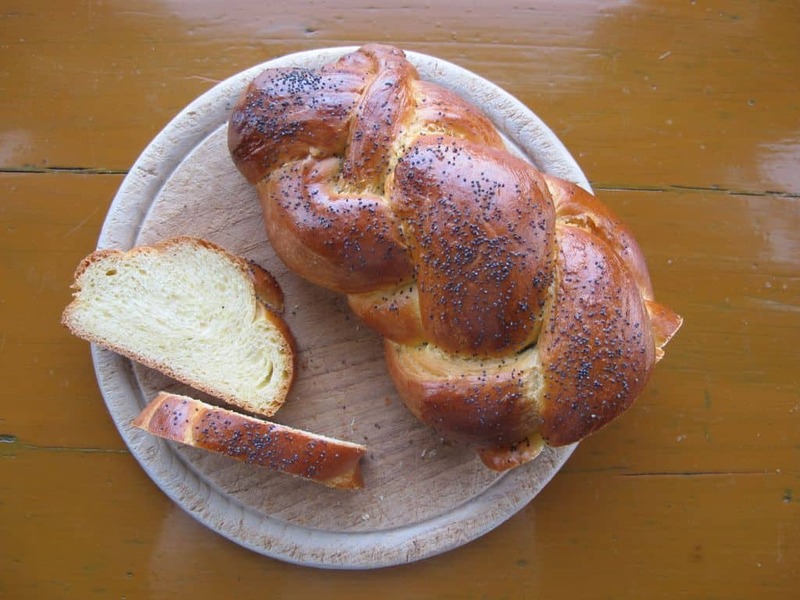 I am crap at making bread but this might turn out OK. Pam will be there and she will lead on the challah making. I agree. I think: Obviously this IS a competition. Usually cooking and competition, this would be fine. I like to cook but am terrible at baking. I’ve never successfully baked yeast bread except for no-knead bread and quicker no-knead bread (see the pattern?). My bread turns out small and hard, my croissants like small crescent-shaped shortbread cookies and cakes are raw in the middle. I acquiesce – at least I will get some challah type bread? Maybe with Pam there my challah will turn out ok? It so obviously is a competition. Long story short – we bake, it turns out well. My challah is AMAZING. It’s like the challah that I have been thinking about and I am very happy. 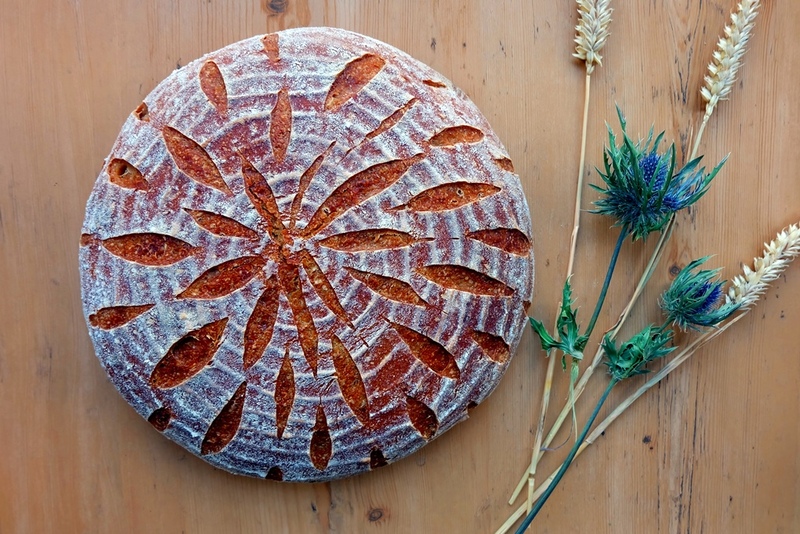 Interestingly, both bread recipes are quite similar and both are delicious. In fact I am enjoying a piece of Striezel right now slathered in butter. Yum.